Yasuni National Park in Ecuador is reputed to be the biologically richest place on earth. Its 3791 square miles are believed to contain more species of plants and animals than any other comparable area. 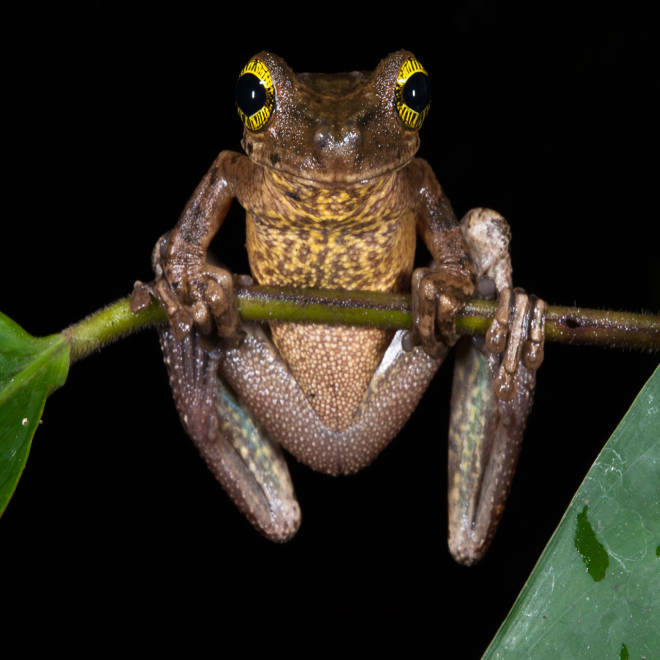 These photos were taken by award-winning nature photographer Peter Oxford and first appeared in "Yasuni, Tiputini & the Web of Life," a book he co-authored with Dr. Kelly Swing. Pete is a biologist who was named one of the 40 most influential nature photographers by Outdoor Photography magazine. His photo credits include National Geographic, Smithsonian, and International Wildlife. A founding member of the International League of Conservation Photographers (ICLP), Pete works as a team with his long-time partner and wife Renee Bish, with whom he has published eight books, two of which focus entirely on the Galapagos Islands. Wauroni tribesmen, who live in the rainforest of Ecuador, are getting ready to challenge the Ecuadorian government's plan to auction as much as 8 million acres of rainforest for oil drilling, saying they are prepared to fight to the death to protect the land. NBC's Ann Curry reports. Learn more about the groups in Ecuador's Amazon Rainforest. Editor's Note: Click here to watch Ann Curry's full report from Ecuador that aired Friday, May 3, 2013 at 10pm/9c on NBC's Rock Center with Brian Williams.